Flat base stabilizes units on tables and counters. Clear coloring adds a modern aesthetic while keeping literature in view. 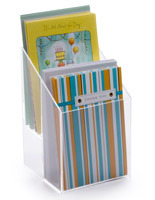 5-5/8"w x 6"h x 3 5/8"d is designed for 5-1/2" wide brochures. 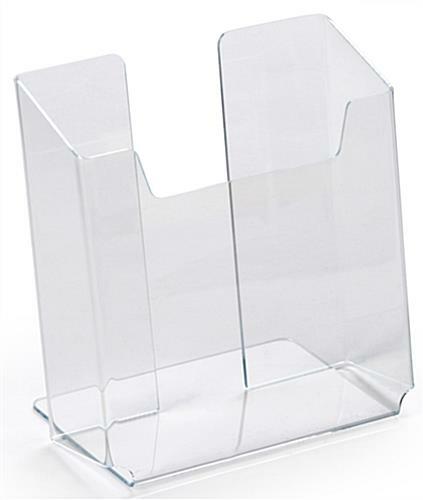 Acrylic material makes the displays withstand constant use for years. 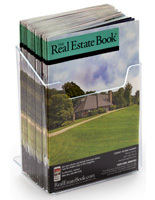 Brochure Holders - Top Seller!! 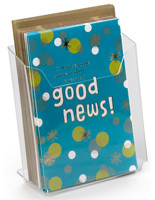 This brochure holder accommodates standard 5-1/2" wide flyers. 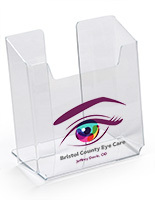 This display is a great countertop display, desktop display, literature display, literature rack, brochure stand, or a brochure rack! 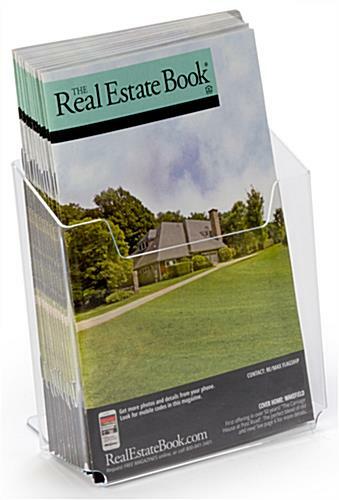 Display has a single brochure holder pocket. 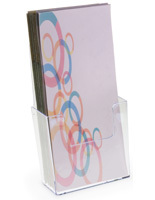 The base of this literature holder is bent back to provide support for your brochures. 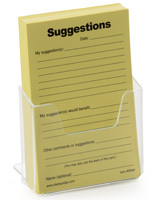 Will work pretty good for our 5.25" x 5.25" inserts. Thanks Careen for the awesome review! 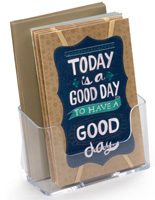 Thank you Waleed, glad you were pleased with your brochure holders! These stands are perfect for displaying our Dealership Menu's and the added bonus is Displays2Go Fast & Reliable service and shipping. This looks great, Devon! Thank you for sharing! I like the durability & the price of this product. Displays2Go was fast and courteous! Way2Go!